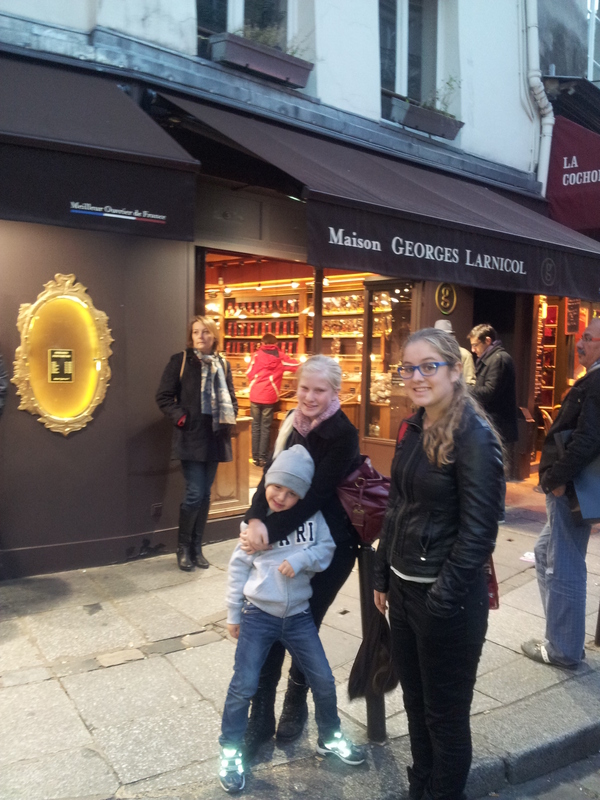 Paris is “chock” full of wonderful chocolate shops that make any chocoholic melt in delight. After exploring the streets and following our noses into many of these heavenly shops, we have decided that our favorite is in the Latin Quarter called Maison Georges Larnicol. What I loved most about this chocolate shop were the intricate chocolate sculptures which change according to the season, the caramel burre salé (the ultimate for caramel lovers!) pieces alone or crumbled within the creamy chocolates, the caramel burre salé croissant rolls (kouignettes) dripping with melted butter and caramel, and the colorful macarons – slightly crispy on the outside and soft and fluffy in the center. The location on a lively corner in the vibrant Latin Quarter also contributed to the overall experience – indulging in a creamy and delicious piece of chocolate while watching the spectacle of Paris’ animated street life before you. Pure Bliss!!! From Shorts to Down Jackets…Where Did Fall Go?